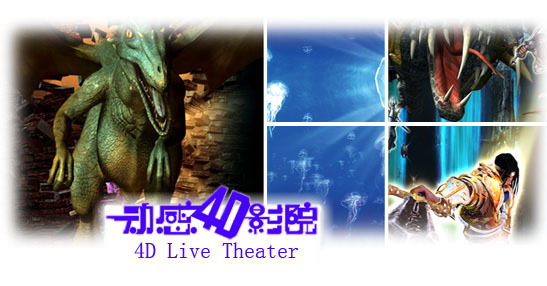 A pace setter of the highest standard for the world’ special films, the 4D Live Theater is a hi-tech kinetic simulator forged with vast sum of funds by the Window of the Sea Ltd. Multiple hi-tech patents and technologies are used in the system, which consists of a stereo projection system, shaking seats and special effect equipment and a CCS. By stimulating the audience’s vision, hearing, sense, etc, these 3 parts interact and create each detail of the environment, making you seem on the scene.